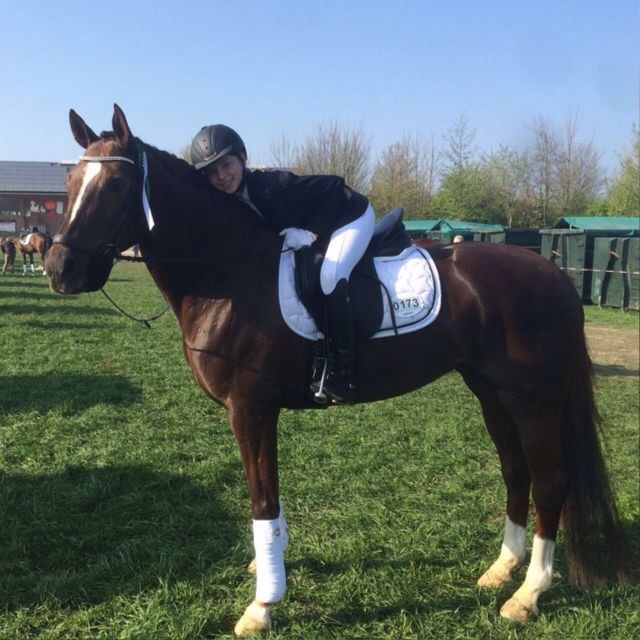 Dressurstall Zagers | Important step for our youngest tournament rider! The first time riding an exam without side reigns is a bit like the first time swimming without water wings. If that works really well, then everybody is properly proud. So was our youngest tournament rider Lynn Suckow. 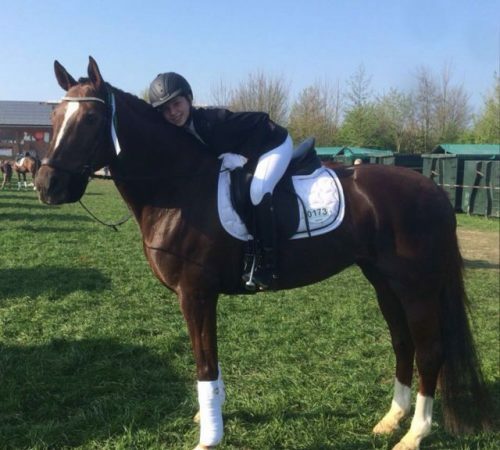 With her mare “Leni”, she rode her first “E-dressage” without side reigns at the Buchholzhof in Mülheim at the weekend and despite a small irritation in the test, the two came home with a good score and also in the placings! From now on the pair will enrich the regional A-Levels. We look forward to it and feverishly as always – we will keep our fingers crossed.